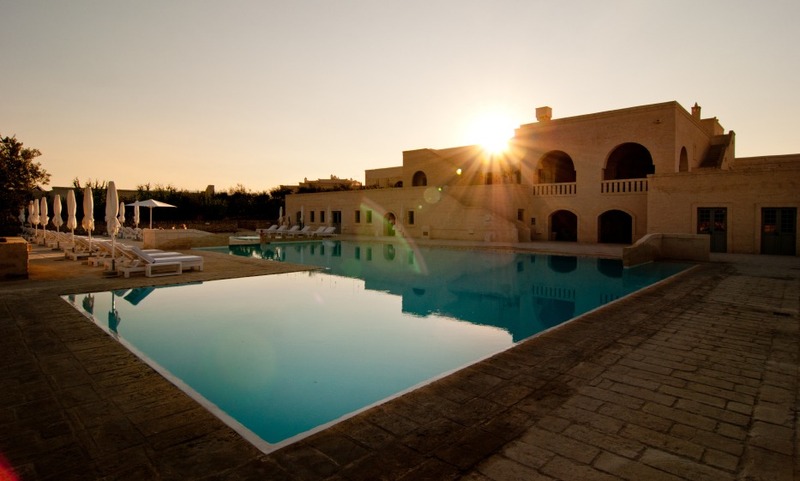 The Borgo Egnazia could easily hold the title of the Mediterranean’s most beautiful hotel. With the deep blue of the Adriatic for a backdrop, this luxury temple of whitewashed stones and candlelit interiors is the off-the-grid haven you never knew you needed. The world’s rich and famous come here for some discreet R&R, curled up under the expert hands of the Vair spa’s therapists, lounging on the plush daybeds by private plunge pools, or teeing up on the San Domenico Golf Club. For those with the willpower to tear themselves away from the resort’s sybaritc pleasures long enough to explore, the picturesque villages of the Itria Valley, and the Greco-Roman remains of ancient Egnazia are within walking distance. The Cuisine of Puglia : tantalizing dishes created in a traditional kitchen. Superb atmosphere with olive trees, flowers, jasmines, prickly pears and lemon trees. Fantastic atmosphere of Apulian historical centers. A very beautiful setting, carefully decorated and comfortable. I love the dining options available and the personalised service. This is probably the best luxury hotel experience in our life, and we have experienced a lot! We're coming back to Borgo Egnazia for sure!